GridCast: live and behind the scenes of grid computing: Barcelona here we come! In slightly more than a week the bulk of EGEE’s community will cluster around the hotel Barcelo Sants in Barcelona for a week that will do much to determine the future European grid computing. What a great city for this week of discussions, workshops and presentations! All delegates should be sure to sample the rich sights, sounds and tastes of this Mediterranean city. In coming blog posts I’ll be trying to share a few highlights with you. 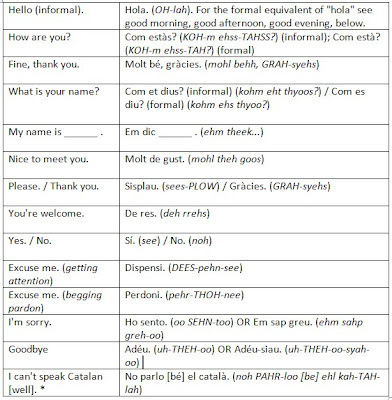 To start with, how about some language basics? I think this last phrase is going to be especially useful for me! You're right, but an EGEE gridcast is not really a gridcast without you José! I don't deserve so much, but thank you very much ;-). It's great to be with you all again, my friends. Aw, thanks Jose! I'm delighted that we'll be back blogging as a team again!